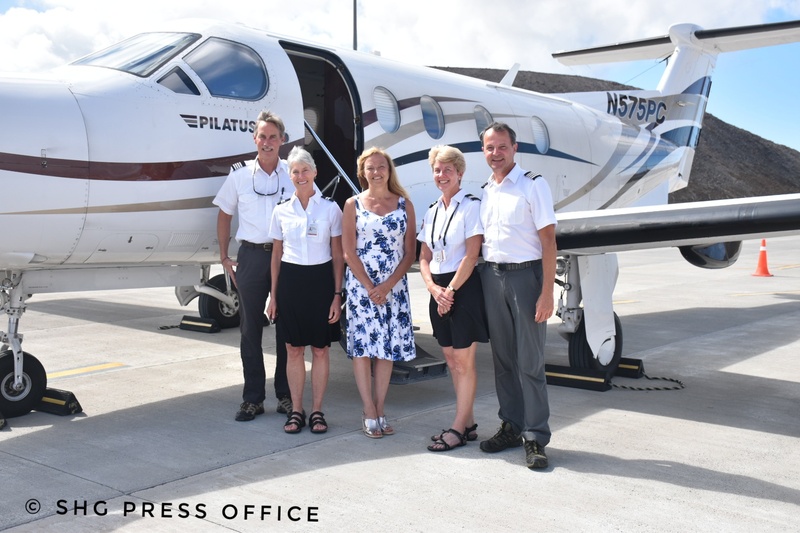 The group has flown the Pilatus PC-12 around the world twice – once in an eastbound direction (2015) and once over a very challenging polar route (2016-2017). This third trip is another variation of a ‘Round the World’ flight – Circumnavigation Westwards – recognised by FAI (Fédération Aéronautique Internationale). “I was delighted to come out and meet with Captain Jack Long who has today made history because he has brought in the first single propeller plane, and he’s also remarkable because he’s on his third circumnavigation of the world. Jack, Carolyn, Becky and Josh will leave the Island on Sunday, 20 January, bound for Recife in Brazil. Before they leave, the group are hoping to see more of St Helena’s spectacular scenery and flora and fauna, the Wirebird, Napoleon’s House, Plantation House, and also climb Jacob’s Ladder.